Clearly Vietnam’s cocoa farms are starting to gain interest on the world stage: it is after all on the same latitude as many of the major producers. 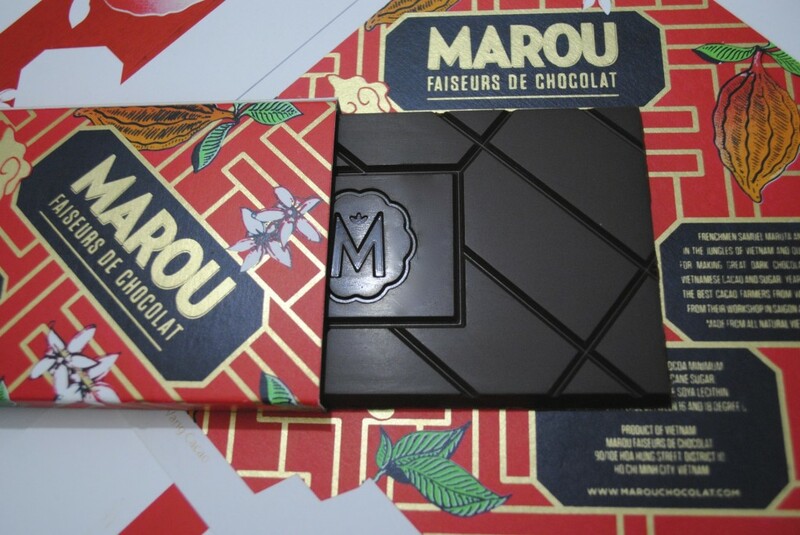 Being half Vietnamese, I do have an affection for the country’s efforts to innovate and further develop, so it was with great joy that I discovered Marou, Faiseurs de Chocolat. Marou (an anagram of Amour) was founded less than a year ago by two adventurous Frenchmen, Vincent and Samuel. They decided, to use the small amounts of cacao beans harvested, fermented and dried on small family farms throughout the Mekong Delta and southern highlands of Vietnam, to make an extraordinary chocolate. 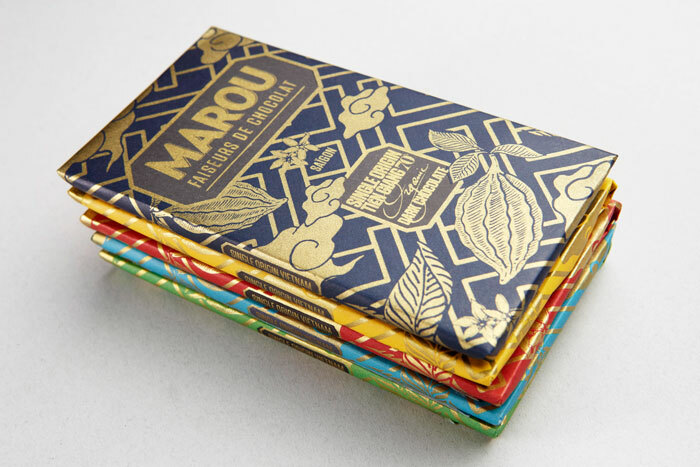 Each variant of Marou Chocolate could be based on the province from where the cacao beans grow. The geographical location of the farm and its soil determines the characteristics of the cacao beans and therefore the flavour of the chocolate. The packaging, created by Rice Creative, is inspired by beautiful ceremonial papers that are still produced by artisanal printers in Cho Lon, the old Chinese quarter of Saigon. a local printing shop to use the traditional silk-screen printing techniques to hand print the design in antique gold ink on each wrapper. The finished packaging is then given to Marou who then hand wrap the chocolate bars. The collection is yet to be made available in the UK, but I’m told that Monmouth Coffee should be selling them at some point. Think I’ll be first in the queue.